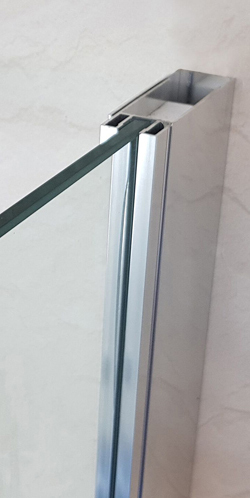 1900mm high, with an 8mm toughened glass panel. 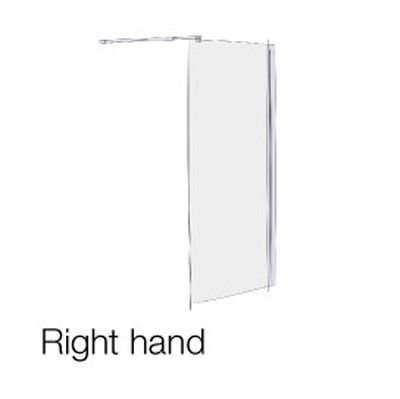 Full height Opulence glass screens are available from 700mm - 1200mm. 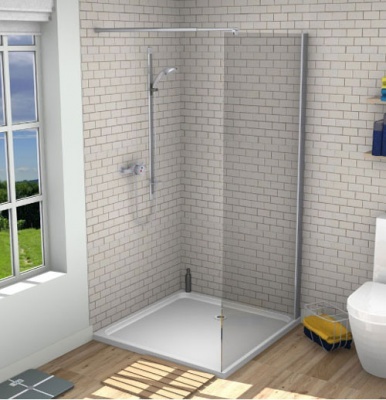 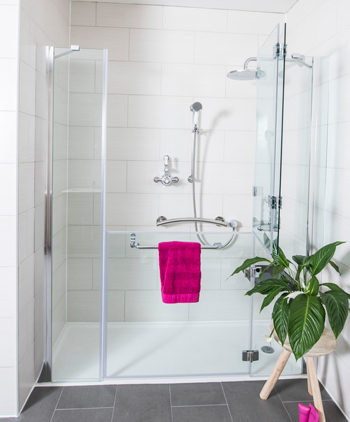 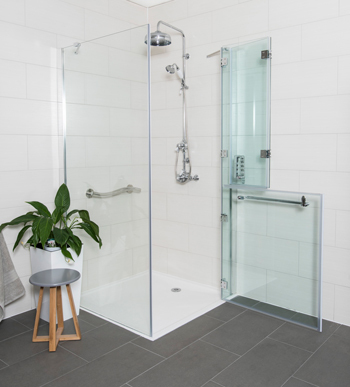 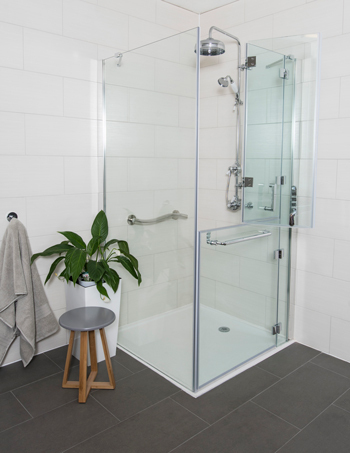 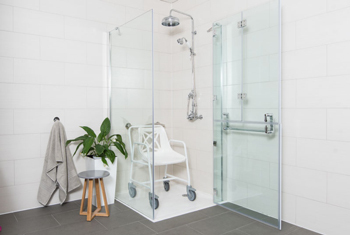 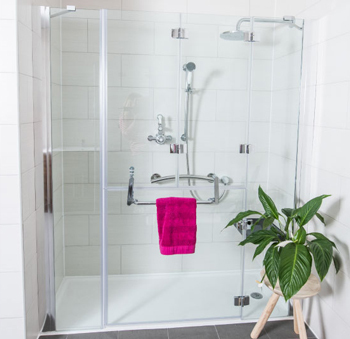 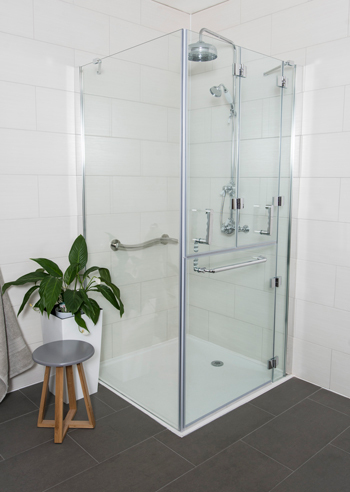 unobtrusive walk-in shower should you wish to plan ahead for your future safety or when the need for assisted showering is no longer required. 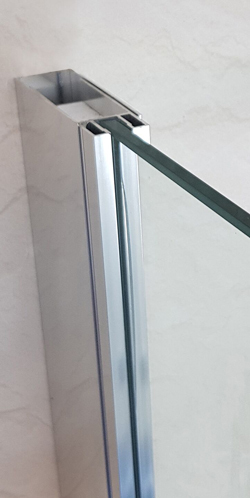 8mm thick toughened glass door panels. 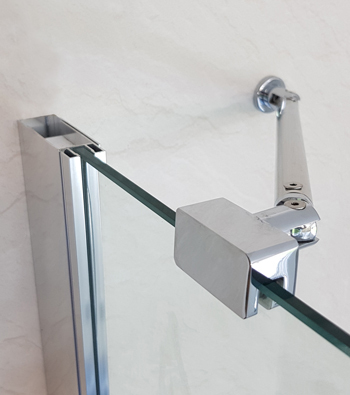 Unique telescopic, wall fixed tie bar. 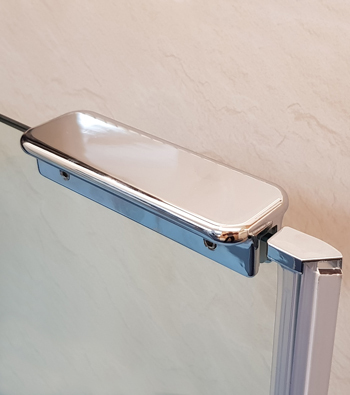 45˚ wall stabiliser bar supplied free of charge instead of tie bar on request. 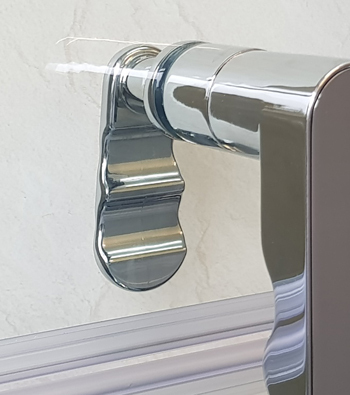 Chrome plated, solid brass fittings. 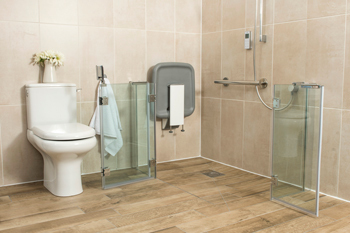 Coved profile to accomodate vinyl flooring or square profile for tiled floors. 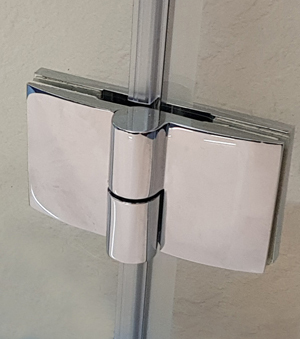 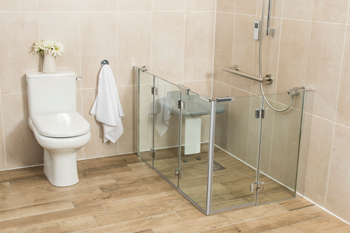 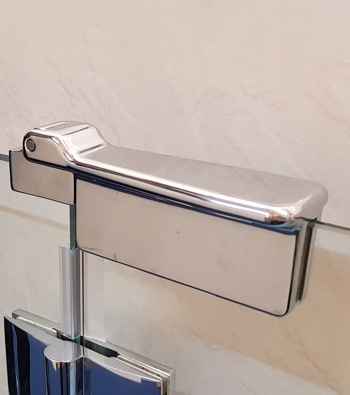 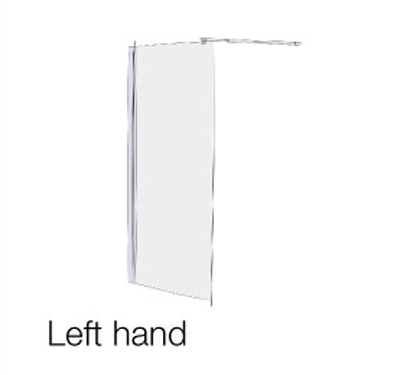 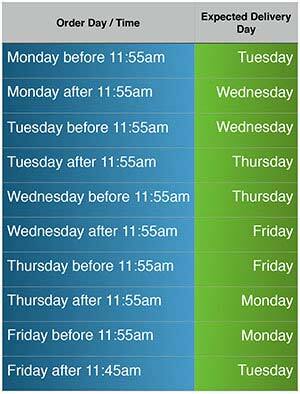 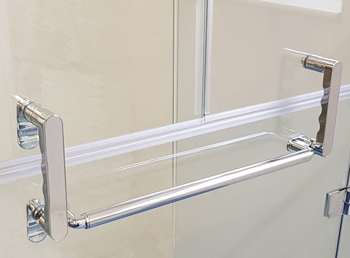 Largest range of modern full height glass shower screens available.